The National Women’s Hockey League (NWHL) and Play Like a Girl – the Nashville-based charitable organization whose mission is to ensure that every girl reaches her potential through sport – have teamed up to present the Play Like a Girl Leadership Summit during NWHL All-Star Weekend. The Summit will take place on Saturday, Feb. 9 at Ford Ice Center from 11 am - 3 pm and is geared to teenage girls and their parents. It will be a jam-packed afternoon of discussion on leadership, mentoring and community building, along with a Street Hockey Clinic presented by Bauer Hockey. Tickets to the event, available now at iplaylikeagirl.org, include admission to the Summit’s panel discussions and the Bauer clinic on Saturday afternoon, plus tickets to the 2019 NWHL All-Star Game at Bridgestone Arena on Sunday, Feb. 10 at 2:30 pm. The Play Like a Girl Leadership Summit is presented by the NWHL, Nashville Predators, Bauer Hockey and SheIS. 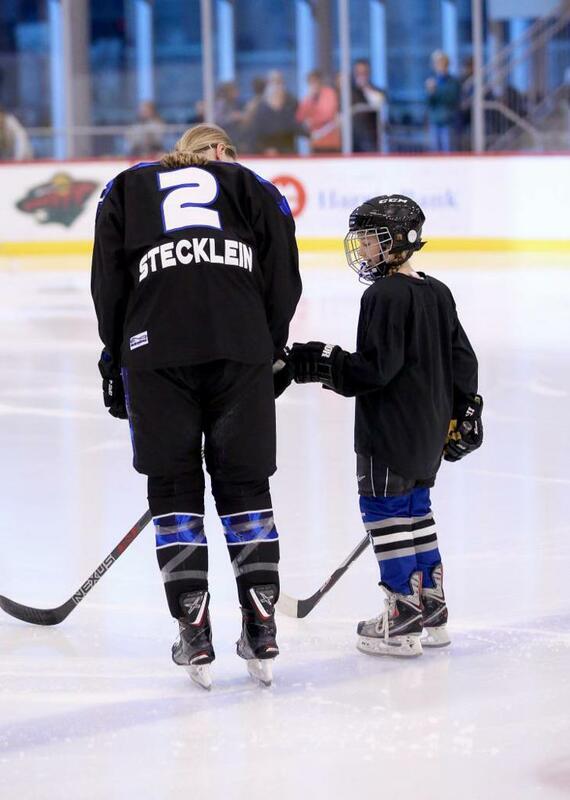 Lee Stecklein, the two-time Olympic medalist who won gold with Team USA in 2018 and is a star defender for the Minnesota Whitecaps, will be the featured keynote speaker at the Summit. The NWHL All-Star team captain will bring her unique flare to a discussion on women trailblazing their own paths, sharing highlights from her journey to the gold and her fight for pay equity. NWHL All-Stars Blake Bolden (Buffalo), Shannon Doyle (Connecticut) and Alyssa Gagliardi (Boston). NWHL Founder and Commissioner Dani Rylan, NWHL Deputy Commissioner Hayley Moore, Nashville Predators owner Holly Dobberpuhl, Bauer Hockey VP of Marketing Mary-Kay Messier, and SheIS Co-Founder Caiti Donovan. There will also be a workshop on how participating girls can start a Play Like a Girl club at their schools, and a special session for mothers and other adult female role models. "The women of the NWHL are exceptional examples of people who are rewriting the rules and redefining expectations," said Dr. Kimberly Clay, Founder and CEO of Play Like a Girl. "We're excited to celebrate these women by partnering with the NWHL at the Play Like a Girl Leadership Summit to showcase their stories of courage and resilience and to champion the next generation woman athlete who will push boundaries to accomplish her dreams and make meaningful change." The 2019 NWHL All-Star Game will be played on Feb. 10 after the Predators host the St. Louis Blues at 11:30 am CT. Ticketholders for the Predators game are invited to stay for the NWHL event. In addition, fans with general admission tickets for the All-Star Game will be able to enter Bridgestone Arena at approximately 2 pm. General admission tickets ($20) for the All-Star Game are available HERE.